Almost all people in Brazil speak Portuguese. 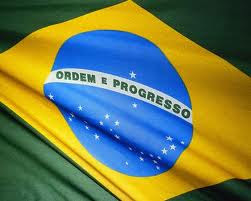 For a person to be a translator in Brazil they would need to become fluent in another language. They should learn customs and etiquette of that cultur e. They should learn about relationships and communication and anything that will help improve their knowledge and skills. If they would like to translate from English to Portuguese for instance, they should take English classes and learn spelling, grammar, and punctuation. They should find books about the culture and read as much as possible. They should travel and spend time in the country or participate in foreign programs. Sometimes the best way to learn is through experience because in experiencing something first hand can give us a better understanding as to how things work. Education always helps as well. Take classes in high school and college. Make friends with people from that culture and learn from them. Get a Bachelor’s degree in communication or just in general that will help the person become a better writer. Apply for internships or volunteer your services to gain even more experience. A person should also consider taking training and certification courses to improve their skills and prepare them for a career. A translator conveys one language into another as well as thoughts and ideas. In truly understanding everything about the other culture they can accomplish this task effectively. Translators work in agencies, health-care, judicial systems, and many more occupations and the need for qualified translators will only continue to grow. The need for someone competent enough to handle a position in this career will continue to grow as well. If a person is bilingual this is definitely a career to consider because it is showing no signs of slowing down. Most translators tend to freelance or are considered self-employed. Assignments are submitted and received electronically so a good understanding of computer use is essential. If you are interested in being a translator in Brazil you must be fluent not only in Portuguese but you should be fluent in the target language. You should gain education through experience, college, and certification programs. You should also consider internships, exchange programs, and travel. With a career in translation you are helping people communicate with each other. This makes this a very rewarding career. We live in a world where we need to know how to communicate with others that are different than us and the career possibilities in translation are endless. Tags: Being a Translator in Brazil, How To Become a Translator In Brazil, Brazilian Translator, Portuguese Translator, Translation in Brazil, Translating in Brazil, How to get a job as a Translator In Brazil?